Apples are delicious, mangoes are delicious, so guess what we've gone and done? That's right. We've made a mighty tasty juice out of the pair of them. 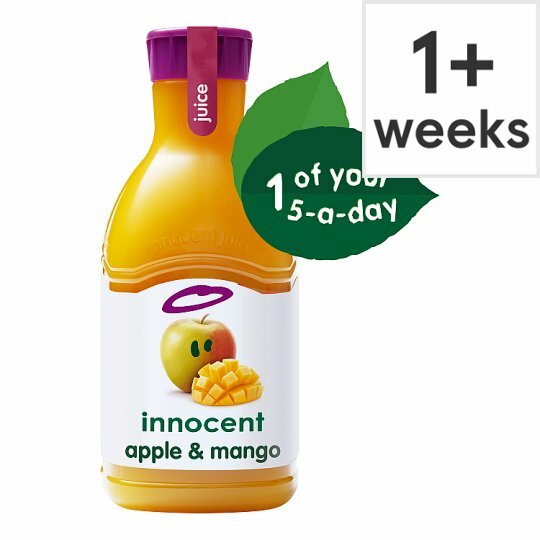 11 apples & 3/4 crushed mango and absolutely nothing else. This juice is a source of Vitamin C which contributes to the normal function of the immune system. Looking after your juice, Please keep this juice chilled between 0-5°C before and after opening. Once opened, drink within 4 days., For best before date see neck. This juice has been gently pasteurised, just like milk.